Is your child ready to stay home alone? The Home Alone Safety for Kids program helps children and their families get ready for their child’s first steps towards independence and being without adult supervision. In-class training courses are currently available in Toronto, Regions of Halton, Peel, Hamilton, Niagara, Vaughan, York and Durham. Scroll down to see our complete course listing below. Click on the INFO/REGISTER button beside the course you are interested in to read full details on location and course fees. On the day of the in-class course, parents are invited to return for the last fifteen minutes to review what the children have learned in the program. All participants will receive a participant manual and wallet sized certificate card. Can’t find a course that suits your family’s schedule? 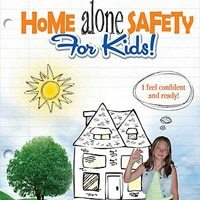 Home Alone Safety for Kids is also available online and can be completed in the comfort of your own home. The online format may be better suited for children who are unwilling or unable to attend a full-day class session and for parents or caregivers who wish to participate in their child’s training and reinforce key safety messages. For more details, please click here. The Home Alone Safety for Kids program is also available through our Program Partners at other locations. Please visit their website for complete course schedule and registration details.